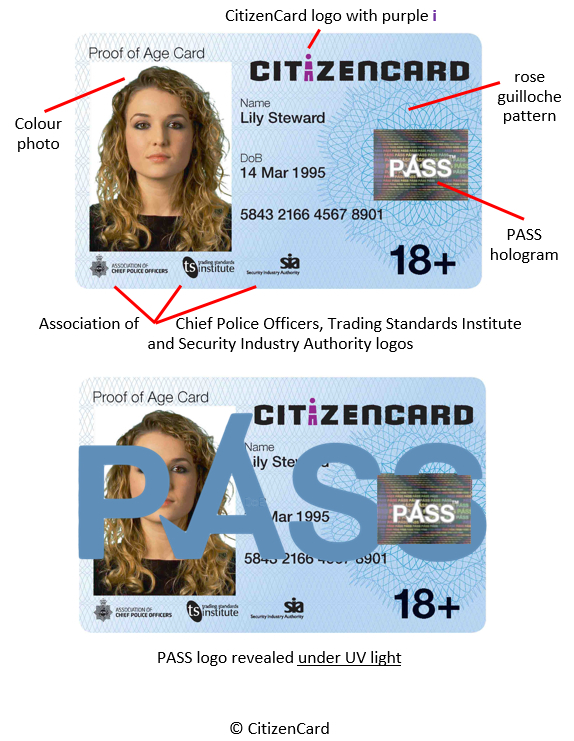 Home Office Minister Norman Baker today (Tuesday 10 June 2014) launched the new 18+ PASS card design that features on 18+ CitizenCards. The new design displays the logos of the Association of Chief Police Officers, the Trading Standards Institute and the Security Industry Authority (SIA) that licenses bar and club doorstaff across the UK. Chief Constable Adrian Lee, on behalf of ACPO, endorsed the new design and has written to fellow Chief Constables advising that if the card is refused in bars or clubs the police must investigate. The police advise that passports should not be used as proof of age and the DVLA oppose driving licences being used for this purpose either. CitizenCard is the only non-profit organisation to issue PASS cards across the UK. It is operated by: Association of Convenience Stores, Camelot, Co-Operative, Experian, Ladbrokes and National Federation of Retail Newsagents. The new card is available at a cost of £10 from www.citizencard.com using code NEWCARD. Existing holders of a CitizenCard can get the new card for just £5 using code REPLACE at https://apply.citizencard.com/apply/upg .